Rosenthal Schoor sprang from a coffee table challenge. Erika Rosenthal was an established Chief Marketing Officer; Mike Schoor was an established C-level Executive Recruiter and Sales Coach. 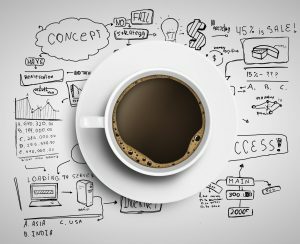 One morning over coffee, Erika and Mike discussed the joys and challenges of consulting for busy executives. The joy was solving problems; the challenge was competing for airtime. No matter the industry – Presidents and CEOs are looking for efficiency. Every company markets in two ways: through its marketing plan and through its people. Together, Rosenthal Schoor supports both.